Route based on IP Hash (MUST be used with static Etherchannel – no LACP). No beacon probing. NOTE: These only affect outbound traffic. Inbound load balancing is controlled by the physical switch. Use uplink failure detection (also known as link state tracking) to handle physical network failures outside direct visibility of the host. With blades you typically don’t use NIC teaming as each blade has a 1 to 1 mapping from its multiple pNIC to the blade chassis switch. That switch in turn may use an Etherchannel to an upstream switch but from the blade (and hence ESX perspective) it simply has multiple independent NICs (hence route on virtual port ID is the right choice). Configure the management http://premier-pharmacy.com/product/xenical/ traffic portgroup to use pNIC1 as active with pNIC2 as standby. 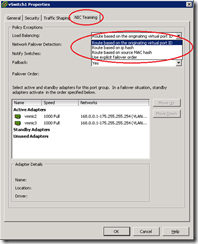 Configure the VM network portgroup to use pNIC1 as standby and pNIC2 as active. This achieves both separation of traffic over separate pNICs for optimal bandwidth as well as providing resilience to both portgroups. VMwareKB1002722 describes this in more detail. You can configure NIC teaming using the CLI (although this procedure isn’t covered in the standard documentation so won’t be available during the VCAP-DCA exam). NOTE: With the vDS you get a diagram showing the actual path traffic takes through the switch. 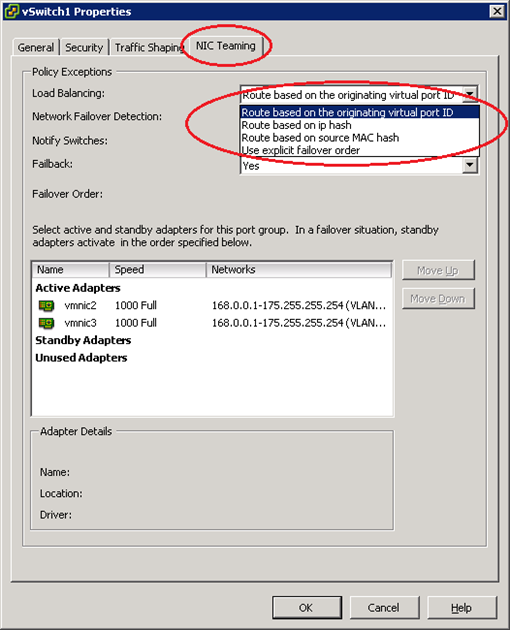 You can also confirm the actual NICs used (and therefore whether your teaming is working as expected using esxtop.More on this in section 6.3 Troubleshooting Network Connectivity. When you move to 10GB networks isolation is implemented differently (often using some sort of IO virtualisation like FlexConnect, Xsigo, or UCS) but the principals are the same. VMworld 2010 session TA8440 covers the move to 10GB and FCoE. Configure the management traffic portgroup to use pNIC1 as active with pNIC2 as standby.